1, ) Attached photos show a very special and the latest design — Double Deck Tent. Such a design provides you more space and unique apparence. 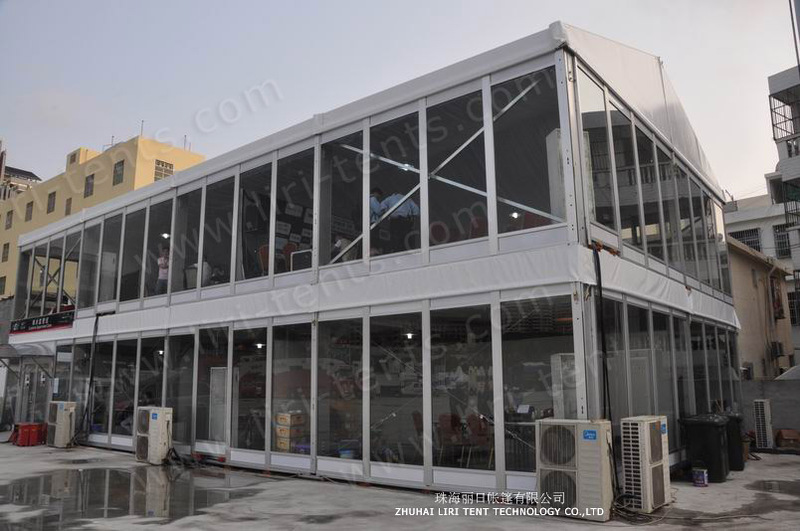 Additionally, tent accessories glass wall, ABS hard wall, glass door, handrail and decoration liner are available. 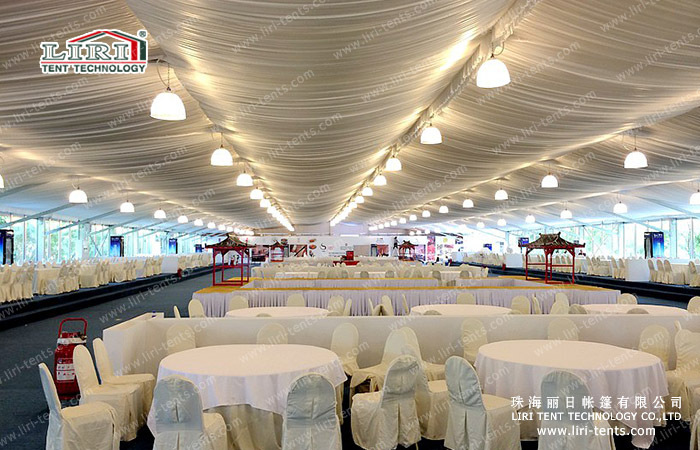 3, ) Its clear span width is available in 10m-40m, the length is unlimited, can be expandable by 5m.